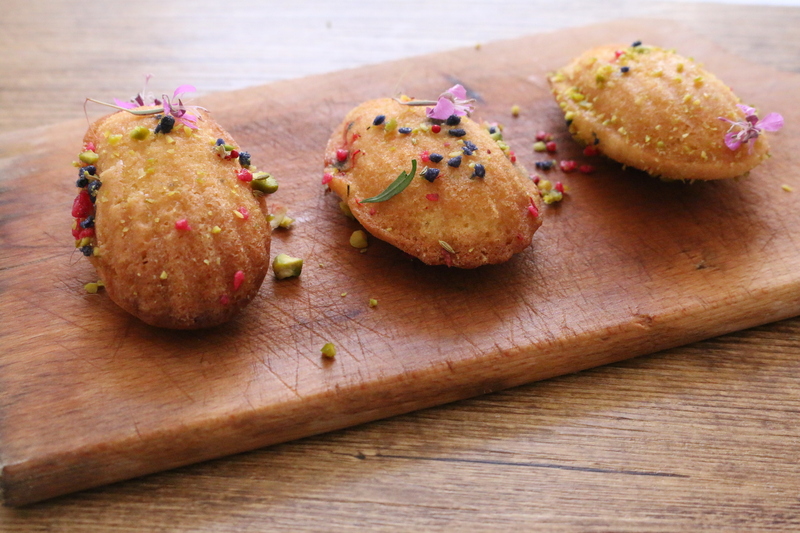 Eat Madeleines at least once a week, and you’ll become a better human being… Just Saying. These are the Perfect miniature cakes that put even the cutest of cupcakes to shame, they are great dipped in tea or better still a cup of warm cocoa. In his renowned work Remembrance of Things Past Marcel Proust writes about the Madeleine in the fleeting moment of just emerging out of warm tea, right to his mouth. For me it is impossible to bake and eat Madeleines without thinking of this beautiful passage. 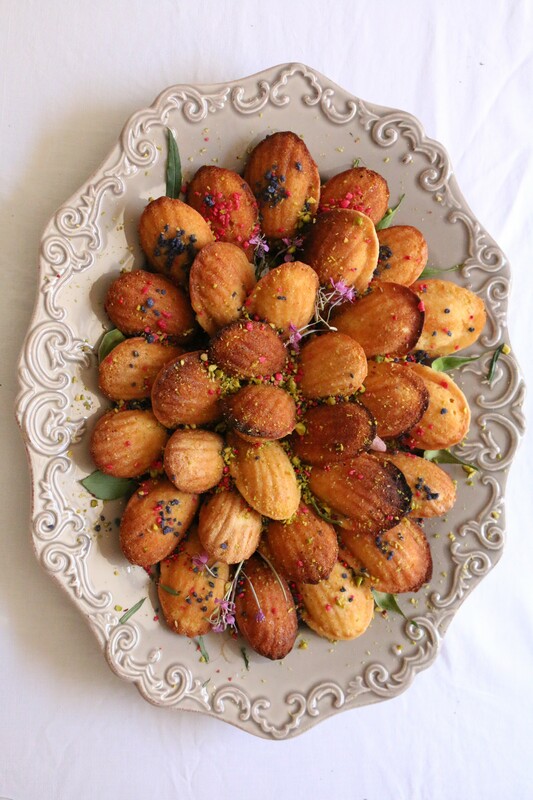 Enough Proust for now, more Madeleines. 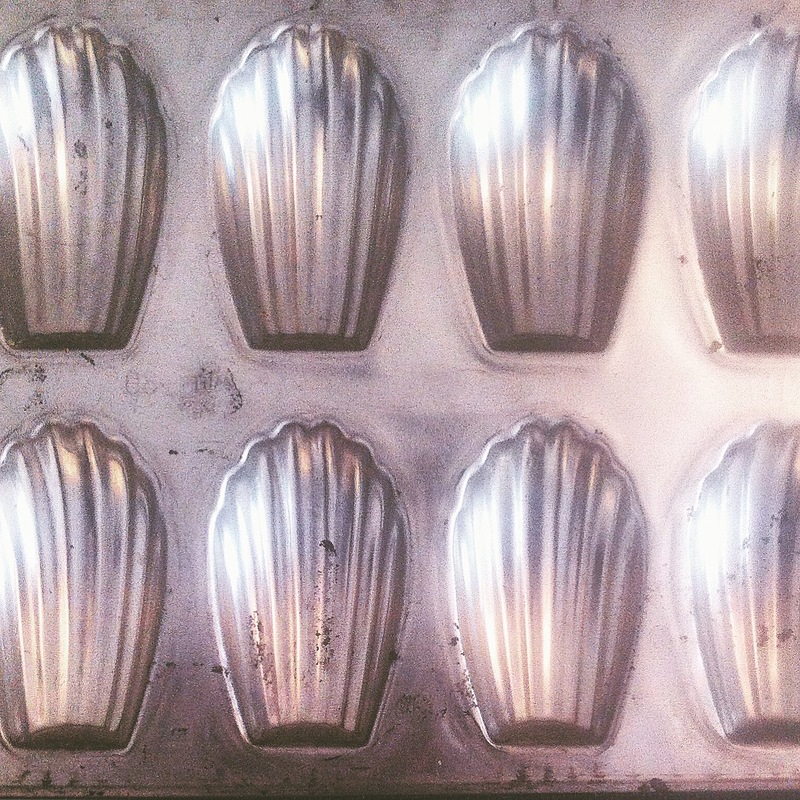 The Madeleine is basically a French version of the British pound cake, but what makes them so unique is their shape, do not bother making them if you do not have the moulds, just bake a pound cake instead. The sea shell shape gives a unique texture and size. A good Madeleine has to have a close crumb , with the circumference being just coarse enough to hold the shape and resist warm liquid immersion, but the middle of it has to be plump with a nice bellybutton filled with fluffy cake, all this complexity in just a 6cm bake. They are indeed cake perfection. 100g butter, molten but not allowed to become hot. Melt the butter, and allow it to remain warm until it’s time to introduce it in the batter, you can opt to let the butter go to the noisette stage but then we would be trampling Financier territory, this may make the French angry. Better not. In a bowl place together the lemon juice, eggs and sifted flour and mix with a wooden spatula, then just add the warm butter and mix till you get a soft cake batter. With respects to the moulds they should be buttered well so the cakes don’t stick to it once cool. But that’s it, quite simple really. Bake the cakes at 180 degrees for about twenty minutes, let cool slightly and remove from the moulds. Purists just eat them the way they come but another option is to douse the Madeleines in a warm syrup such as a homemade lemon syrup, rose is beautiful also violet is no joke. For proper care of your mould, wash with warm water and brush, then place is a warm oven so they dry completely before storing them away. Now go buy that mould, don’t opt for silicone, instead buy the metal ones, for some reason silicone does not give the same results as a good metal sheet, also they don’t look as good on your kitchen shelves, which is of paramount importance obviously. Previous Post SOIL & SPICE RECIPE NO.2 : Mirabelle and Old-fashioned Oat cookies.